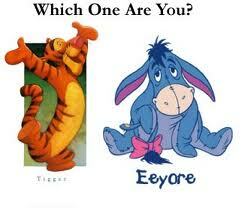 Dr. Joan McGettigan - The Tech Sherpa Blog: Tigger or Eeyore? Humph! 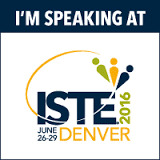 So, I was not at ISTE 2011! Did it matter? Well, surely I missed out on all the networking, catching up with folks, learning new things, and the gosh darn fun of being there. I mean it was in the City of Brotherly Love, so criminy, what could be better? However, through Twitter and other fun tools, I (almost) felt like I was there [shout outs to The Nerdy Teacher, SarahDSparks, Lisa Nielsen and others for their constant tweets). What did I do before this connectivity? Hmm, I guess I wasn't . . . connected. 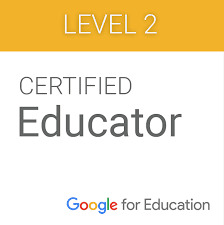 Currently I am am running an 8 week course online, 21 Steps to Being a 21st Century Teacher. I am so proud of the teachers who not only signed up but keep coming back for more. It's been a delight to read their blog posts and to truly drill down to understand where the fear and hesitation about "21st Century Teaching" lurk among faculty, no matter what their age or experience. 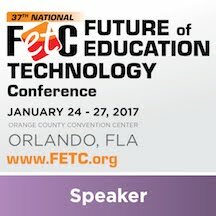 So many education gurus claim that teachers' fear of technology stems from lack of training (blame the school or district). Teachers will advocate for more time to train or more up-to-date tools (blame the school or district). Some technology directors suggest that technology use should be a requirement (really? Are we advocating eat your peas and carrots as a solution?). Actually, I don't think it is either. Really, when you get down to it, there are two issues: what is your mindset and what are your priorities? If your mindset is "Grrrrr, what is going to happen if I push this button?" then you approach technology itself with fear. Tiptoeing never works. What if your mindset is "Gosh, I can't wait to see what happens when I touch this button!". 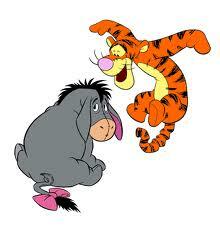 Always better to be a Tigger than an Eeyore. If you set your mind that learning how to use technology is a good thing (thanks Martha) to both advance your professional growth, and to provide better engagement for your students, maybe even fun, then you will approach the learning with the right positive mindset. However, that is not enough. I hear so many faculty begrudge the fact that students spend so much time immersed in the world of technology, whether they are texting, on Facebook, YouTube, etc. Hey, how do you think students became so technically adept? Their priority is communicating with their friends and the world around them and to accomplish that goal, they use multiple technological tools and develop expertise along the way. (How do you get to Carnegie Hall? Practice, practice, practice!) What if ALL faculty approached their communication and collaboration that way? I've heard too many tragic tales from tech directors at truly wonderful schools who set up discussion boards, wikis, and other collaborative spaces only to have them sit relatively empty. Helloooooooooooo, is anyone in there? Remember, email use to be a mystery too. It's about time that we imbue the daily life of school with these tools. One step in the right direction to adopting these new tools into every day teaching life is when administrators step up and model best uses of these tools. Great examples are folks like Jonathan Martin (@JonathanEMartin), Eric Sheninger (@NMHS_Principal), Justin Tarte (@justintarte), and the whole Connected Principles Group (@conprin). Leading by example inspires others to step up. Teaching can be such an isolating experience yet using tools like Twitter can open up your teaching world and show you that you don't have to do it alone. Are you a 4th Grade Teacher in need of help with a classroom project? Just tweet your question to #4thchat and I guarantee that you will receive at least a dozen helpful responses. As I have advised faculty in my online class as they embark into the land of Twitter, Google Reader and other fun tools, keep it simple and focused. Don't get infowhelmed, get infofocused. When something goes wrong, (and it will), use common sense to fix it and laugh. It's okay. Nothing is broken. Just a bump in the road. Keep your sense of wonder and adventure. Ooops, I left out the Elephant in the Room, the final excuse as to why some faculty fear integrating technology into their classrooms. "It doesn't work." Well, why doesn't it work? Do you have the same problem over and over? Learn how to fix it. Didn't you at one time have trouble tying your shoes? It's a learning curve. Have you been burned by technology failing you as you tried to make a presentation? It happens to the best of us. At these times I always think of Steven Spielberg and that enormous fake shark. The gosh darn thing kept failing. It wasn't scary, in fact it was just plain goofy. The studio was screaming at him. The actors and crew must have had their doubts about signing up for such a low quality flick. However, persistence pays off. The shark finally worked and Jaws became a blockbuster. Be the little engine that could. Be a Tigger.